Our second evening focuses on the “in-between” in space and time, referring to Foucault’s essay of the same title “Of Other Spaces.” What is it that makes spaces like a monastery, a factory, or a construction site “different”? What does it mean to “fall out of time” and how ephemeral is it to be in the state of in-between? Gruzei’s film title refers to Workers Leaving The Lumière Factory in Lyon by the Brothers Lumière from 1895. In this case, we’re following mostly female workers leaving the iconic building of the so-called Tabakfabrik in Linz, Upper Austria. Shot in wonderful black-and-white, What We Have Made captures the choreography of a large building site. Everybody plays their role ingeniously, as the building slowly takes shape. 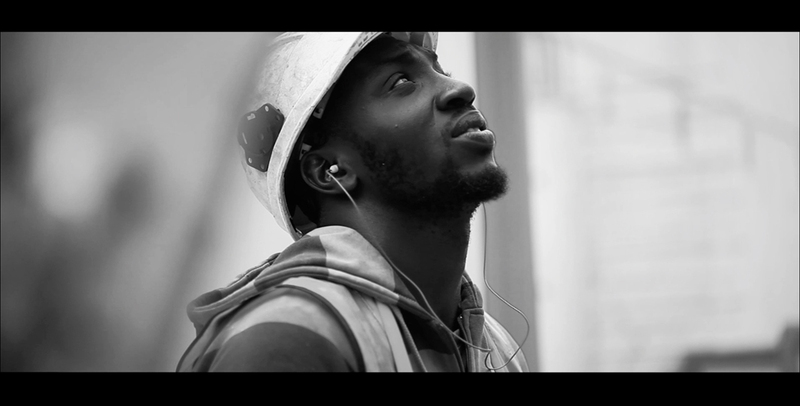 Small portraits show construction workers talking about their work, their highs and lows, and about what the building site teaches them about life. There hasn’t been a better film about the life of a building site. Winner: Best rated Film at Architecture Film Festival Rotterdam! a surprise 15 min short film in original language. join us and figure out more! Roosenberg is a place, a space, a building, a letter. Roosenberg is Amanda, Godelieve, Rosa and Trees. Roosenberg is a documentary film about an abbey for women that houses a core community of Marian Sisters of St. Francis in the small Belgian village of Waasmunster. The monastery building is a fascinating example of modernist architecture designed by a monk architect van der Laan in 1975. In the summer of 2016, only four old nuns were still living there, diligently carrying out the religious rituals and taking care of the building. Their lives are regulated by daily routines to keep the building – their small universe – in function. The abbey had become part of the identity of the sisters who had been living there for more than 40 years. At the end of the summer the nuns have to move out from the building to a home for elderly people. That is the end of life in the building, the monastery remains empty. This close relationship between the space and the community is the core of the film Roosenberg.